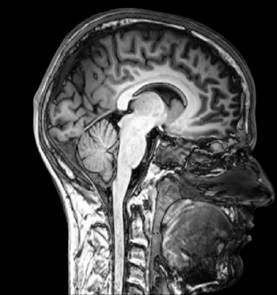 Is it possible to make the brain more moral? This article is beyond interesting. Its like an addition to Max Weber’s “Protestant Ethic and the Spirit of Capitalism”. The best part is where Dr Clayton in an interview explains the value added in Mormon ideals on the “afterlife” in economic terms per MPB (marginal personal benefit). 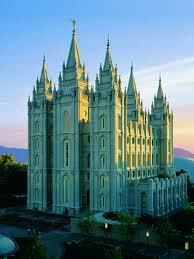 In the economics of religion, I think Mormonism is geared for a huge win in volumes and appeal. In the past 18 months, I’ve seen some of their intellectual R&D in transhumanist culture, and they are far more attractive than their Abrahamic peers. Trust me you want to read this article. I just happened to see it on a new stand. With the integration of human beings and technological enhancement, the ideal of what is morally just becomes increasingly ambiguous, referencing the seemingly endless scenarios of mechanical, electrical, and bio engineering enhancements that have propelled individuals of our kind to mature well beyond the centennial of exploration. While the philosophical quarrels of today regarding emerging technologies are specific to ethics and what we have the power to do versus what we should do, I don’t think that we’ve spent enough time exploring what ethics are and to whom they apply. Ethics, or the moral regard, has the potential to be somewhat relative when individuals fail to subscribe to the same social normative. Similar to legal standards, citizens or subscribers of a society agree on laws of sorts, and are only protected by those laws through acknowledging themselves as a member. Although the Homo genus can define all humans in the known past and existing today, our sub species or sub group needs to be further narrowed as a result of the technologically forced evolution that is taking place currently. Inside the group that we currently identify as human, per the attempted Universal Declaration of Human Rights presented by the United Nations, there is a great difference between the (Homo) extensions of the technological elite and the aboriginal groups that we’ve identified as Homo sapiens sapiens since approximately 200,000 years ago. Today individuals use enhancements for physical deterioration and deprivation (like gene therapy or implants), cognitive abilities for qualitative and quantitative methods (like microprocessors), mechanical assistance both dynamic and static (like prosthetics and motor propulsion), and many other technologies, leading to a great difference in ability and, further, potential. These differences are at least as distinct—if not much more so—as between Homo sapiens sapiens and Homo sapiens idaltu. Homo sapiens idaltu co-existed with Homo sapiens sapiens approximately 160,000 years ago, and became obsolete in their survival pursuits at locations in north and east Africa. The similar anatomical appearances of sapiens sapiens and sapiens idaltu are at least as significant as the differences between, say, Stephen Hawkins or the late Michael Jackson and the indigenous Australians (pictured right: perhaps our most identifiable linkage to the prevailing Homo sapiens sapiens some 160,000 years ago). All of the Homo species still possess the same bipedal primate designation, but that may change in the future. The modern rhetoric of humanity is synonymous with inefficiencies (qualitative), ineffectiveness (qualitative), and inequality (lacking benevolence). I find that humans in passing typically state things similar to the ideal that our lack of proficiency is not only intrinsic to being human, but also desirable. Humans need to decide how they want to grow. Of course there is an unfinished debate between the technological determinists and the social constructionists that would acknowledge how we grow. Perhaps the International Commission of Zoological Nomenclature should modify its code to accommodate another variation in taxonomic rank of dual existing Homo sapiens subspecies. Of course the PEST (political, economic, socio-cultural, and technological) implications of such a classification are a huge regulatory undertaking, but it wouldn’t necessarily cease the orchestration by technological elites of the other factions in human societies.